Carrie Mathison is an agent with the CIA. Prior to going to work for the Agency, Mathison had been an Arabic language student at Princeton and it was there that she was approached and eventually recruited by a hardened agent named Saul Berenson. Upon graduation, she took the job with the CIA and began to earn a good reputation for her keen intellect and insight-fullness. While she was attending university, she was diagnosed with bipolar disorder. She hid this situation from the Agency and manages to maintain a balance, sometime precariously, by quietly taking clozapine which she gets with the help of her older sister, Maggie. As the series opens, Mathison is in her early 30's, making her career thus far having been probably just shy of a decade. The dates, according to the Homeland wiki, would indicate a speedy college transition as she was born in 1979 (in Maryland) and graduated from Princeton with a BA in Arabic Languages and Literature in 1979, having already earned a Bachelor's degree in Near East Studies and Linguistics from Northwestern and studying Arabic and Farsi in the American University of Beirut. However she accomplished all that, it clearly shows a very sharp mind and a determined attitude. Working against that impressive brain, of course, is her bipolar problems which she medicates to maintain balance, sometimes having to add Lithium to the mix. She also, over the course of her time with the CIA, has had trouble with alcoholism, likely brought on as she fought the main problem. Causing her some additional trouble is a rumored affair she had early in her time with the CIA with her boss, David Estes, which might have brought about his divorce. Certainly the current relationship is interesting at times. Mathison is a dedicated intelligence officer who is willing to step outside the lines to get the job done, risking her career and even her life to get to the truth. 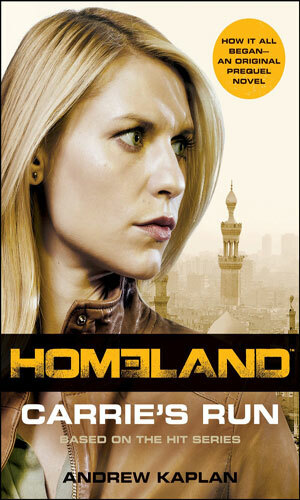 A prequel to the first season of the television show, this adventure details Carrie Mathison's narrow escape from an ambush and how ti leads her to know that a terrorist plot is in the works. Unfortunately, no one else believes her. Another prequel to the television series, this story recounts the hunt for a traitor inside the Intelligence community who is helping notorious terror mastermind Abu Nazir evade capture. 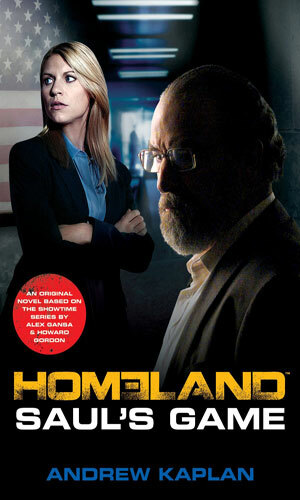 Saul Berenson has a plan that can draw him or her out but it means putting Carrie Mathison front and center as bait. 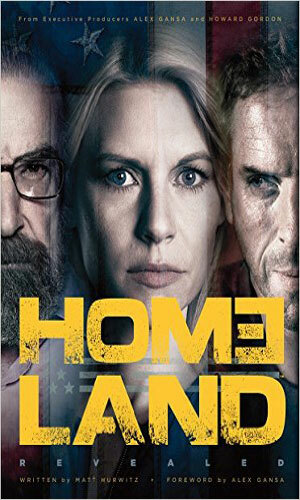 According to an excellent article in Wikipedia, the premise for Homeland came from an Israeli series Hatufim which translates to Prisoners of War. Fox 21 Television Studios produced the show but it got its airing not on Fox's broadcast channel but on the premium pay-channel Showtime. It has won several highly-sought prized including an Emmy for Outstanding Drama Series and one each for Outstanding Lead Actor and Actress for Claire Danes and Damian Lewis. 53 Why Is This Night Different? An in-depth look at the show's first three seasons including behind-the-scenes photos and information about the characters. There is absolutely no doubt that the television series is top-notch and a must-see for any spy fan. The writing is superb and truly deserves the awards it has earned and the acting by all players is fantastic. Claire Danes is incredible. Damian Lewis, an actor I really liked in the short-lived series Life, is wonderfully charismatic at times and diabolical at others. And Mandy Patinkin is, well, Mandy Patinkin - one of the best. The two-book series that has been written are really good reads and provide terrific background information on the main characters. They are well crafted and superbly penned by an accomplished scribe and deserve to be read. The only downside to them is that they are, by necessity since the series was ongoing, prequels. Still, if you are a fan of the series, you should read them. The main focus of the series was the desire by Mathison to uncover the truth behind the returned POW, Brody. All things must come to an end, though, or else impatient fans like myself would get annoyed and bored so the later seasons move beyond Brody which is a good thing. Losing Damian Lewis is a shame but Claire Danes remains as compelling an actress as ever. And there are lots of other bad guys out there for her to sniff out.